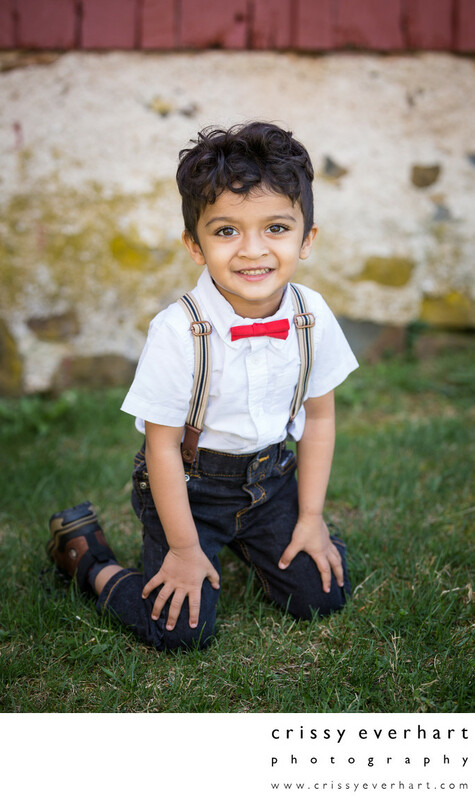 2.5 year old Indian boy with huge brown eyes, jeans with suspenders, and a red bow tie. Taken at Springton Manor Farm in Glenmoore, PA in the springtime. Location: 860 Springton Rd, Glenmoore, PA 19343.